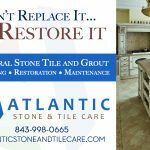 Seabrook Island resident and WWII veteran Ed Gillen and Seabrook Island Club Golf Pro Brian Thelan welcome Wounded Warriors to the event. 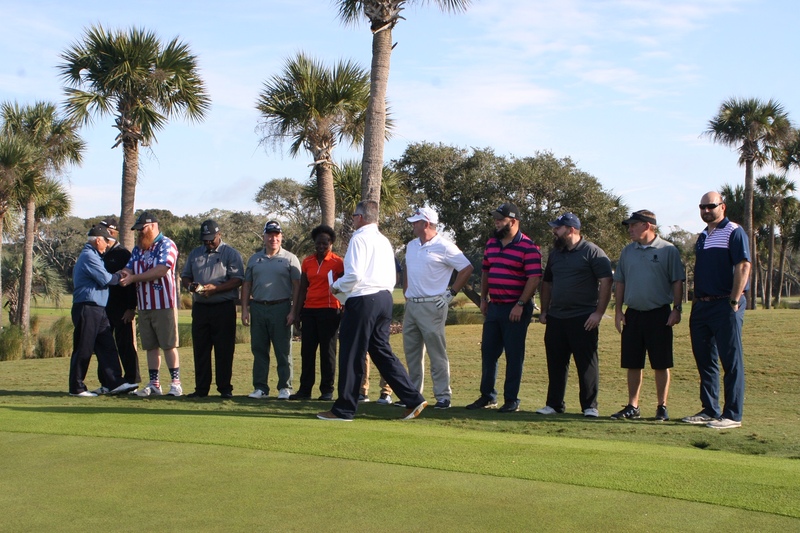 On a beautiful Monday in late November, Lowcountry golfers teed up in the 7th Annual Seabrook Island Veteran’s Day Charitable Golf Tournament to honor veterans for their service to our country and raise money to support the Fisher House Charleston and the Ralph Johnson Veterans Hospital in Charleston. Event Chairperson Alan Armstrong and Golf Pro Brian Thelan present $4,000 check to Fisher House Representative Kent Hutchinson. 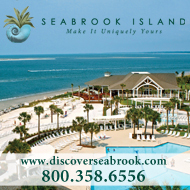 The annual event was sponsored by the Seabrook Island Club and the Kiawah-Seabrook Exchange Club. 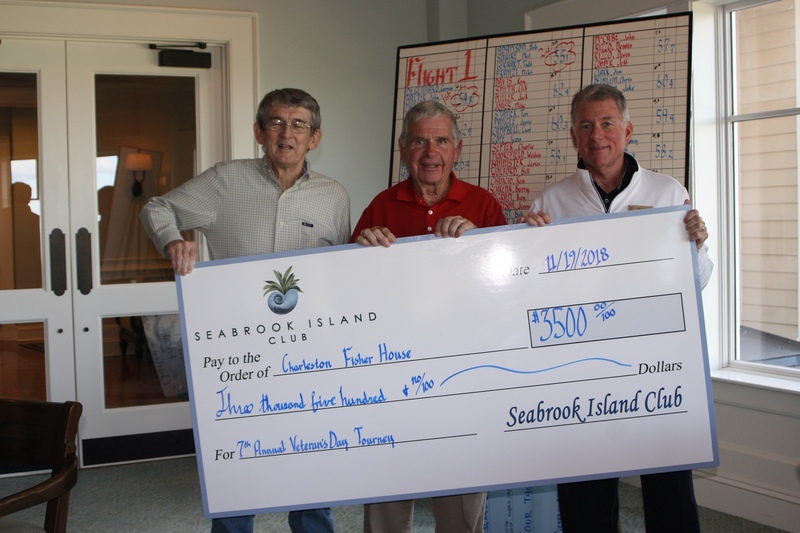 The Seabrook Island Club course hosted 100 local golfers who showed their generous support for veterans of all eras by raising $8,000 for the Fisher House and Charleston Veterans Hospital. The winning teams: 1st Row l-r: Carson Applegate, Joe Mangiulli and Carmine DeGennaro. 2nd Row l-r: Bob Applegate, Ron Nelson, Nick Yaksich and Bob Halter. 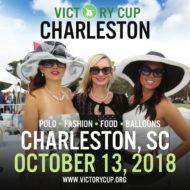 Among the honored guests attending the event were 15 veterans from South Carolina who had been wounded in Iraq or Afghanistan. Also honored was WWII veteran and Seabrook Island resident Ed Gillen. 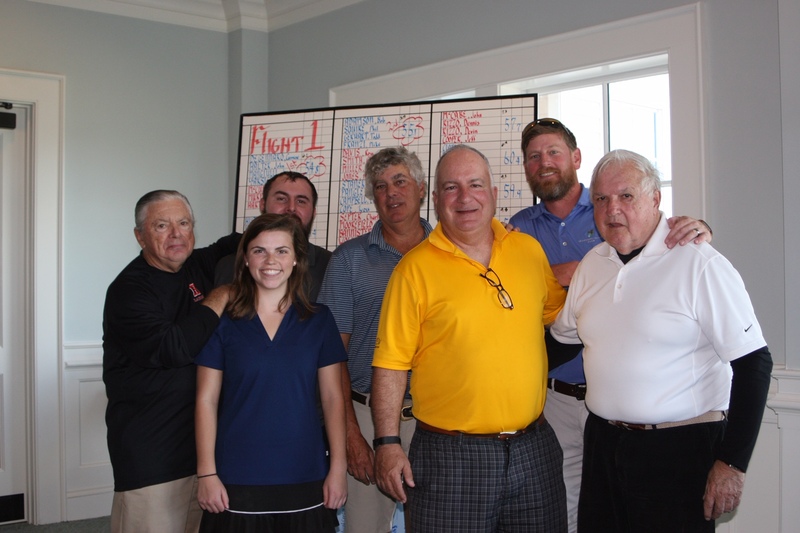 The Fisher Flight winning team was composed of John Halter, Joe Mangiulli, Nick Yaksich, and Carmine DeGennaro. The VA Flight champions were Bob Applegate, Carson Applegate, and Ron Nelson.